These handy guides are developed to capture best practices learned from our community and packaged for easy implementation by anyone. Have an idea for a guide? Let us know! Note: Licensed members can also find and download these guides through the Shop on the CO.STARTERS Member Site. 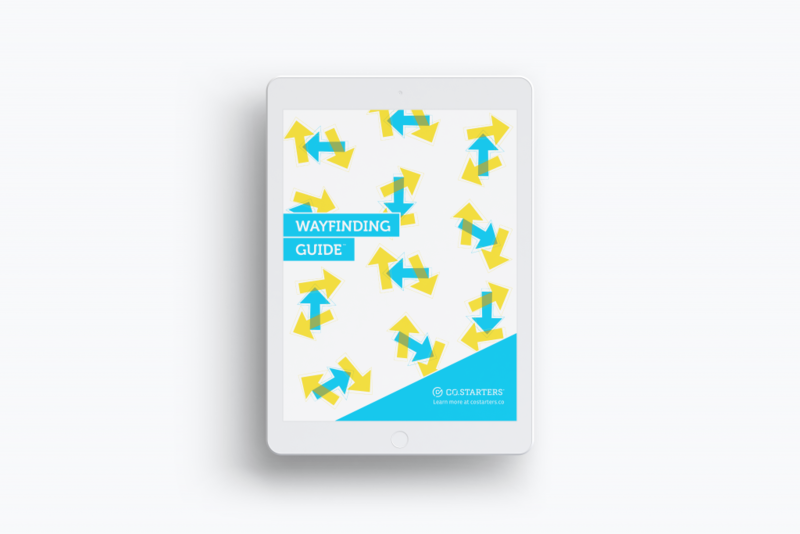 The CO.STARTERS Wayfinding Guide™ is a step-by-step guide designed for community leaders to help them talk with entrepreneurs and point them to where they can get the help they need. This guide will help you set up a Wayfinding Program that makes your meetings more efficient, effective, and positions your organization as the starting point for all entrepreneurs in your community. Running a business requires a lot of expertise—from legal, to marketing, to HR, the list seems endless. Assembling and paying all the needed advisors can be a costly and time-consuming endeavor. This quick-start guide to creating an Advising Hours program for your community helps you ensure that local businesses get the support they need.